Bee Products - Website of zemos! The focus is on premium quality bee products, specializing in helping to prevent diseases and other health ailments. Known as Apitherapy, Go PURE has been in the business of bee products since 2003. Housed under its own brand, Lifzyme®, Bioflora® & Uniflora®, the extensive range of products offered by GO PURE is available online, at a wide range of departmental stores and organic shops around the island. Go Pure carries 3 main types of honey with each their own benefits and origination. Use plastic, wooden, porcelain or ceramic spoon to prepare honey drinks. Do not use metal spoon. 用塑料、木制、陶瓷或陶瓷汤匙来准备蜂蜜饮料.不要使用金属汤匙. Mix only with cold or lukewarm water. Do not use hot boiling water as heat will destroy good properties such as vitamins and enzymes in the honey.只用冷水或温水混合.不要使用热开水,因为热能会破坏蜂蜜里一些像维他命和酶等有益成分. Children below 1 year of age are not recommended to take honey or any other bee products. 1岁以下儿童不要食用蜂蜜或其他蜂产品. Our Organic and Natural Acacia Honey comes directly from the Acacia trees in the unpolluted highlands of Romania, grown only on mineral rich lands. Often hailed as “liquid gold” in Europe, our honey is ranked as one of the top honey in the world. Said to be even better than Manuka kinds of honey, Acacia Honey has an exceptional taste that is clear, smooth and has a delicate floral aroma that separates itself from other types of honey. A few of the many benefits of Acacia honey are in helping to detoxify the liver, anti-inflammatory for the respiratory system, improves your digestion, strengthens your immune system and assists in blood circulation. Acacia honey is a popular choice for both the elderly and young kids, even with diabetics due to it’s high but not excessive fructose and low sucrose contents. The difference between the Organic and Natural version of Acacia Honey is by its farm lands and methods. The Organic version has been certified by their local governments to ensure that the land, air, water and farming methods are 100% organic. 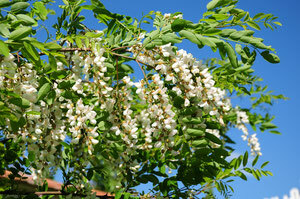 Go Pure™ Organic Acacia Honey has been certified by SC Ecoinspect s.r.l. Originating from the Linden Trees grown in the clean and green Romanian Highlands, Go Pure™ Organic & Natural Linden honey is gaining popularity because it carries a unique and captivating lime aroma that is good enough to drink it on its own. 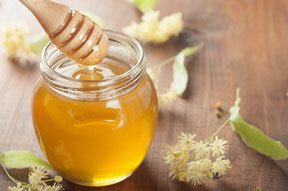 Gaining massive popularity in Europe, Linden Honey is prized for it’s delicious taste and calming properties. 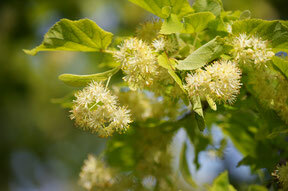 Linden Honey has a light amber color with a mild lime flavour. Other than being particularly good for prevention of colds and flu, Linden Honey differentiates itself from other honeys by having a natural sedative and antiseptic qualities, sourced from the Linden trees. Linden Honey helps in cases of anxiety and insomnia, relieving headaches, indigestion, regulation of blood pressure and enhancing of the human immune system. The difference between the Organic and Natural version of Linden Honey is by it’s farm lands and methods. The Organic version has been certified by their local governments to ensure that the land, air, water and farming methods are 100% organic. Go Pure™ Organic Linden Honey has been certified by SC Ecoinspect s.r.l. For Insomnia, Stress, Anxiety, IBS etc . 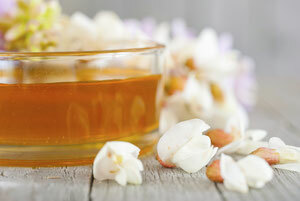 1-2 hours before bedtime, take 1-2 tablespoons of Linden Honey with lukewarm water.